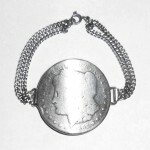 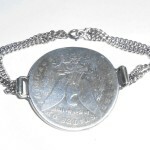 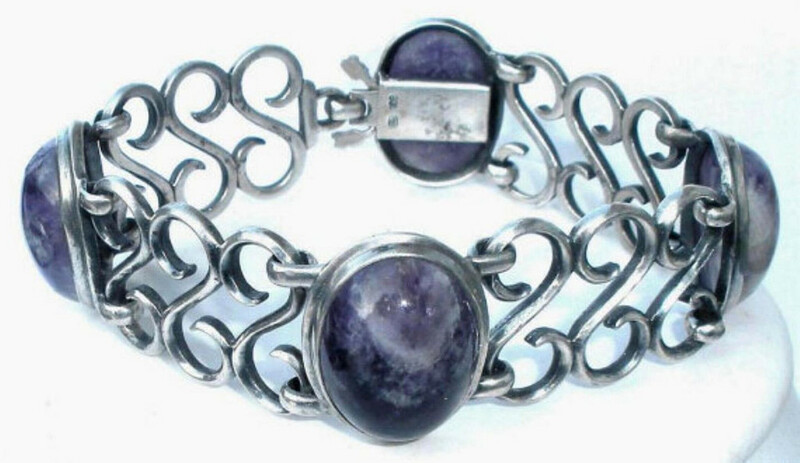 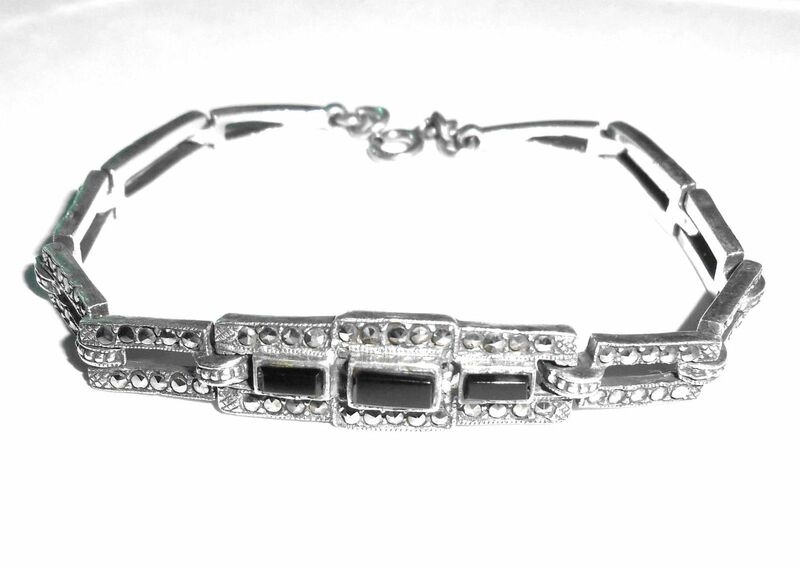 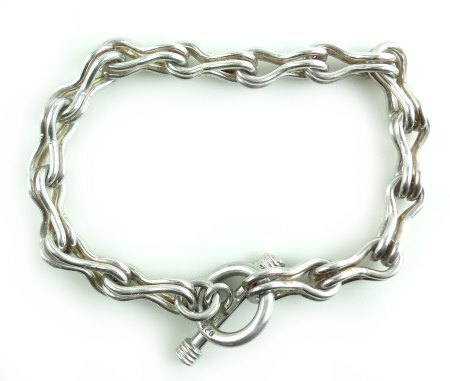 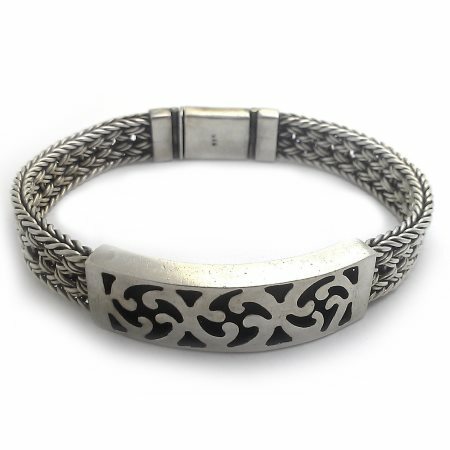 This is a handmade 1899 Victorian Era 900 Silver Dollar coin bracelet with sterling silver chain. Size is just over 6.5″ long. 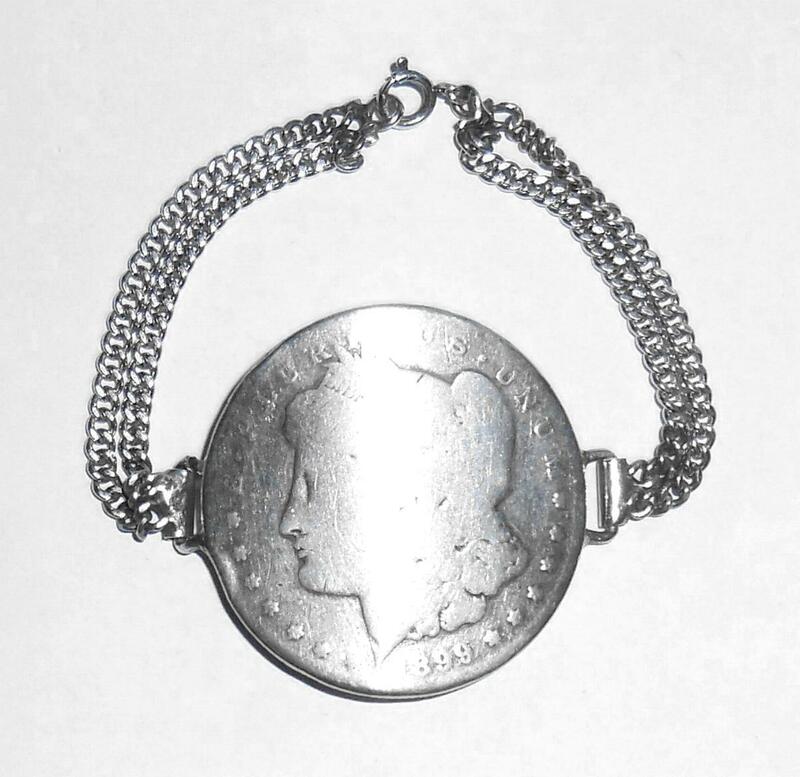 The coin is 1.5″ wide across North to South. 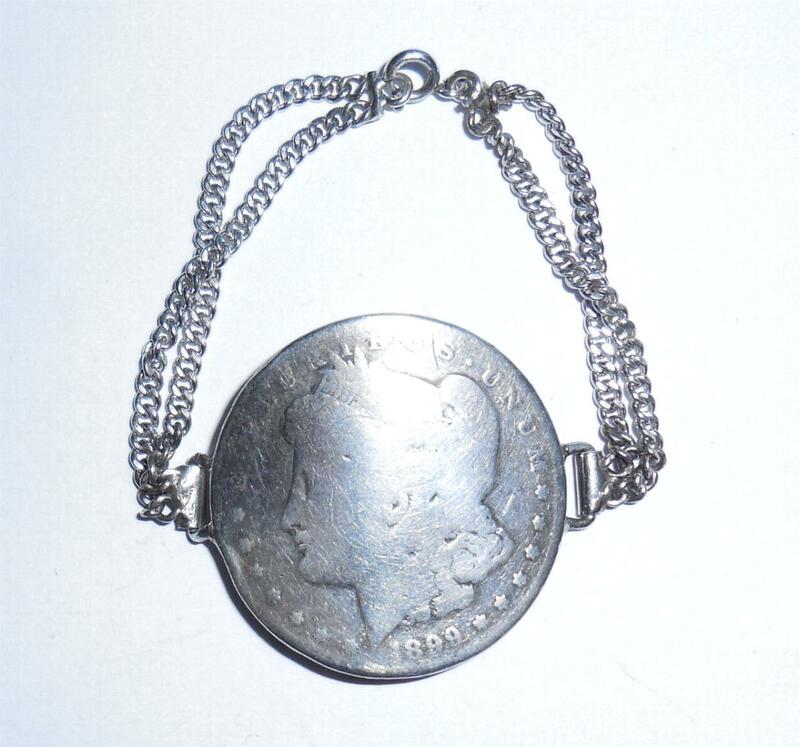 The top of the silver dollar is worn and the back is more detailed. 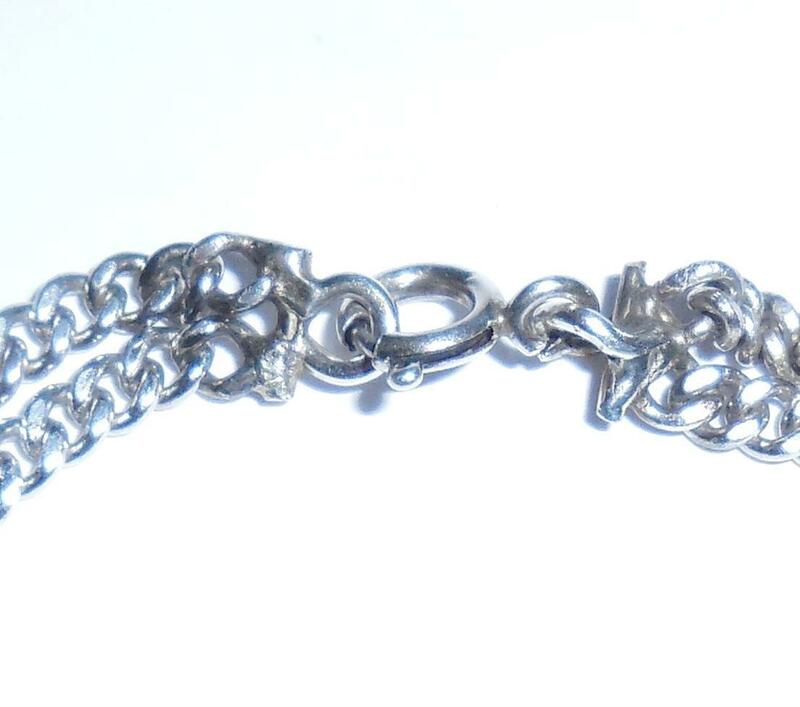 From an estate and clean but not freshly jeweler polished. 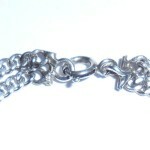 Combined together the chains measure 1/4″ wide across. 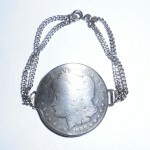 They are cleaner than the coin and have visible hand solder joints from the jeweler’s hand making. 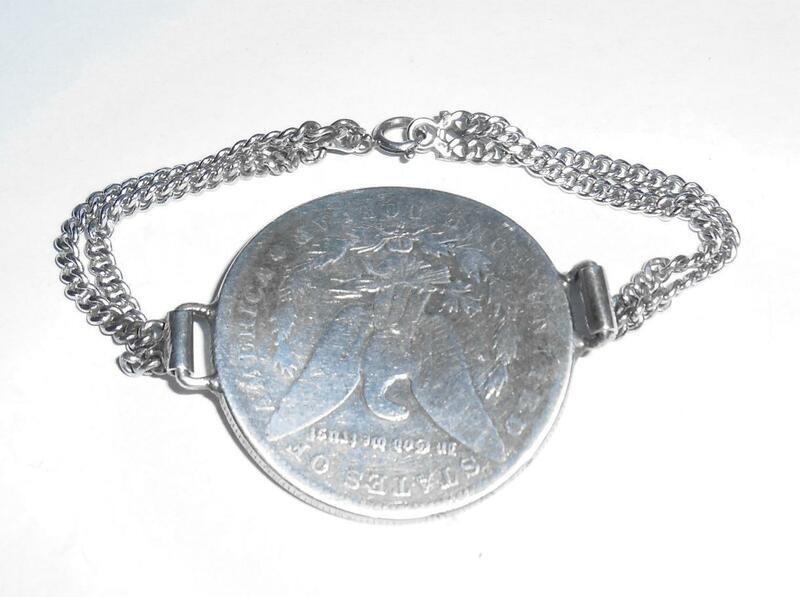 Weight is 31.7 grams.